SIR FAZLE ABED BA University Glasgow Naval Architect; 2014 – Honorary Doctor of Laws, Princeton University, US .. 2012 – Doctor of Laws honori causa, University of Manchester, UK … 2010– Honorary degree of Doctor of Laws, University of Bath, UK ...2009 – Honorary Doctorate of Letters, University of Oxford, UK ...2009 – Honorary Doctorate in Humane letters, Rikkyo University, Japan...2008 – Honorary Doctorate of Laws, Columbia University, US...2007 – Honorary Doctorate of Humane Letters, Yale University, US...2003 – Honorary Doctorate of Education, University of Manchester, UK...1994 – Honorary Doctorate of Laws, Queen's University, Canadaother partnerships - with berkeley us's first research of bangladeshi-american diaspora …. This book is written by 20+ of the senior managers whose lifetime endeavors helped to build BRAC to be the world's largest NGO partnership and one of the 3 most purposeful organisations of over 1000 worldwide brands that expert communications friends and I have researched. BRAC was in its 44th year of bottom-up development when this book was published. Transparency note: when ,my father The Economist's Norman Macrae died in 2010 we were 5 years into visiting Bangladesh with young journalists to try to understand the extraordinary stories of Muhammad Yunus and Sir Fazle Abed. In 2012 the kindest remembrance parties to my father were convened by the Japan Embassy in Dhaka celebrating 2 roundtable dialogues -one mediated by Sir Fazle Abed founder of BRAC and the other mediated by Kamal Quadir Sir Fazle's founder of bkash which has emerged as end poverty world's largest cashless bank. mobile chnages from voice only to voice and data. M...In 1996 rural bangaldesh was one of first places where tech partbers asked how can mobile empower solutions for poorest- ditto technologists brough microsolar to bangaldesh- natiurally rural china started asking the same questions but with potentially orders of magnitude more inward investment . A...BRAC did not rush to join mobile vilage experiemnts- instead it focus on extablish leadership of national markets of bamkoing and agriculture notable dairy and poultry- whilst already expereinced in vilagers markets, the sofread of tech in the vilages was seen as time to own nationwide market eladership- brac also started a university, and made its first plans to go interenational- it would selectively target one tech partner who already had matching interests in particular develoo=ping nations Y..from 196-2003 yunus was fusrt to test mobhile with partenrs of quaditrs frokm mit the tech guys, telenor the infrastructiure, soros a major funder- grameen would be recognied as one third owner of the national company grammen phone- timing was all important- the partreship got the first mobilemlicence at ecnts in dollar to future licensees- Bangaldesh had an underdeveloped fixed telcome sector so it was assumed mobiles were a small market- instead grameen pgone became bangaldesh's largest corporation and yunus specialised in his microlan project of one mobile phone lady per 60 grameen women.. gramen also started devloping volage micrsolar which had leaofrog synergy in recarging mobiles. Thank you Madame Director General and thank you for inviting me to this Conference. In an interview in 2009 in BBC Hard Talk I said that the purpose of ... Hangzhou UNESCO 2013 = Conference theme: “that culture is the key to sustainable development”. I said that in the context of Afghanistan’s exclusion of girls from education, and I said that because I felt that one had to do something which is culturally appropriate in order to educate girls in Afghanistan. Now over these years I’ve set up 4.000 girls’ schools in Afghanistan, trained hundreds, in fact thousands of female teachers, engaged older women as chaperon to take girls from their homes to school and bring them back to their homes after class. As a result of which now 280 000 girls are being educated in Afghanistan. What is happening is that they are getting an opportunity to learn, they are being taught well. Hopefully this particular generation of girls will be well educated, and the next generation of children will not face the kind of exclusions this generation faced. And I hope that the Afghan women`s life and livelihood will probably change in the next generation and we hope that automatically the exclusion that girls face now in Afghanistan will not be faced by the next generation. Particular thanks to Fazle Abed, Founder-Director of BRAC;. Imran Matin ..... www.bracresearch.org/highlights/cfpr_tup_baseline_survey.pdf. Chambers, R.
Mar 29, 2017 - Sir Fazle Abed ranked among world's greatest leaders. Brac founder and its Chairperson Sir Fazle Hasan Abed has been named as one of the. o Omaha, Nebraska o St. Paul, Minnesota o Des Moines, Iowa o Milwaukee, Wisconsin. 2. Sir Fazle AbedHasan started BRAC in ..?... o India o Sri Lanka. Sep 28, 2016 - The title of this speech is an expression used by Sir Fazle Abed, the founder .... .co.uk/publications/Documents/quarterlybulletin/qb070301.pdf. ... and first laureate described Abed as strategic thinker fazle abed man with future vision. ... portal ASA Grameen Bank TMSS References Annual Report PDF. 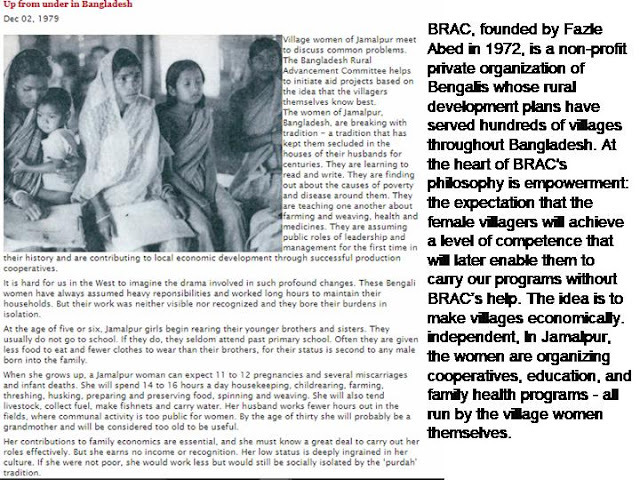 fan web of sir fazle abed · About BRAC ...... 2011 Annual Donor Consortium Meeting Presentation [PDF-2 MB] by Executive Director. 2011 BRAC Annual Reports. 'Interview with Fazle Abed, Interviewed by Tarun Khanna. ... .hbs.edu/businesshistory/Documents/emergingmarketstranscripts/Abed_Fazle_Web%20Copy.pdf. define social entrepreneurs as individuals with ideas for vastly improving systems, in this case the health-care system. They give the example of Fazle Abed, the. certainly the case with Sir Fazle Abed. So it is my distinct privilege to introduce to you for the Laureate Lecture, Sir Fazle Hasan Abed. SIR FAZLE HASAN ABED. Meeting with Sir Fazle Abed of BRAC and debriefing. Day 30. Depart for U.S.. Day 31. Arrive in U.S.. Students with BRAC borrowers and their children in 2010. Jul 26, 2013 - ... mooc - vote now for what free training millions of youth need to interact first. Attachments: final Brief for Sir Fazle Abed on MOOC.pdf, 347 KB. Fazle Abed,8 founder of BRAC (for- merly Bangladesh Rural Advancement ... 2006;1:80-96. Available from: http://www. mitpressjournals.org/doi/pdf/10.1162/. We particularly thank Fazle Abed for sharing insights and wisdom. 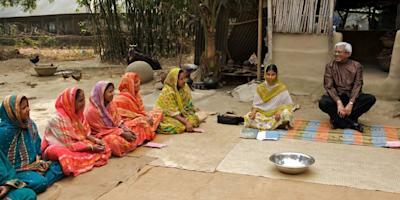 ...... http://www.chronicpoverty.org/uploads/publication_files/PRCPB_WP_2.pdf Accessed: 11. The good news from the east's most remarkable developments in the quarter following the end of world war 2 was that the developements were organic, designed by the peoples of those economies. Oddly the bretton wood's institutions - world bank, un, IMF did not learn this lesson. Instead they made up teories on how to pass aid from their world headquarters through governments. What's miraculous is how Bangladesh and China avoided getting trapped in top-down aid systems, and took innovation of developing nations to arguably the two greatest examples ever seen. Bnagladesh is particularly remarkable because a couple of the country's most qualified people were prepared to go and live and lern in the middle of the most desparte poverty chalenges. Sir Fazle did tis in 1972 not just in the middle of poor vilages but in an area where million people had been killeed and infsratructure destroyed by an intense local cyclone. He started bootom-up disater relief and development - finding out who in the community knew how to reapir what, getting them fnds not just to do their jobs but peer to peer train up local capacity. BRAc continued to buold from the bottom up jigsaw pieces of 1 resilience 2 educatoion 3 helath service 4 food security 5 financing the smallest village enterprise roudn startups by vilage mothers. It desigend microfranchises open sourced amongst voilage motehrs so they maximised efficiency and efectveness and had a market that brac had designed. In other word brac chnaged charity to positive income geberating models that could be replicated across villages. In paralel, where serving children or others that could not be expoecetd to generate their own income, it guaranteed "conditional cash transfer" ie dontaions would be assigned directly to recipents and for a known activity. Nit living with the pooerst they could knw who was who. Indeed whilst well emaing their distribution of aid often failed to transfer skills to te community and even distoreted the market making people endlesly dependent on charity. All this happened in par due to serendipity; te new nation of bangaldesh started up so poor that the government taxation bariely raised funds to serve those in the cities. It had no reach to the vilagers without electricity or communications- and for at least the first 15 years of bangaldesh's development was happy to leave vikage development to the bottom up ngos (brac ) one rural bank created by special national ordinance grameen in 1983. Open Space System Crisis Refugee- economists failure to value sustainable exponentials of death of cost of distance and social world trades of a borderless world. What if Open Learning presents 10 times bigger than past's zero-sum extraction? If 2015+: UN & sustainability goals reflected China's goodwill partnerships www eg Ethiopia's Satellite learning channels Yazmi help refugees recover livelihood freedoms? W4E Women 4 Empowerment- not recognised as most valuable connector of end poverty until 5th doubling of spends on global village communications: 1971-1978 and then only among those POP systems (eg F Abed and M Yunus) designers of grassroots social networks for worlds poorest mothers (EconomistBangla.com). Kenya's mobile models end cash except in last mile banking and Joywo invents table banking and IBM praises nanocredit; Ushahidi benchmark hub for youth technologists greatest worldwide development of open society. EURASIA where most of world lives, and trades?